But what about the large brained and intelligent creatures that might be capable of crossing interstellar distances? Insects are by far the most species rich group on Earth: why shouldn’t aliens look more like them? Unfortunately, having your skeleton on the outside makes growth difficult, and entails periodic shedding and regrowth. On Earth-like planets, all but relatively small terrestrial animals with external skeletons would collapse under their own weight during moulting, and some critical size may be necessary for suitably complex brains. Speculating about what aliens look like has kept children, film producers and scientists amused for decades. If they exist, will extra terrestrials turn out to look similar to us, or might they take a form beyond our wildest imaginings? The answer to this question really depends on how we think evolution works at the deepest level. Hollywood has given us its fair share of humanoid aliens over the years. Initially this was through necessity, as special effects required someone to clamber into a rubber suit. Ironically, now that CGI makes anything possible, aliens sometimes look even more human in order to help the cinema goer make an emotional connection with them – such as in James Cameron’s Avatar. At present, the only life forms we can study are here on Earth. 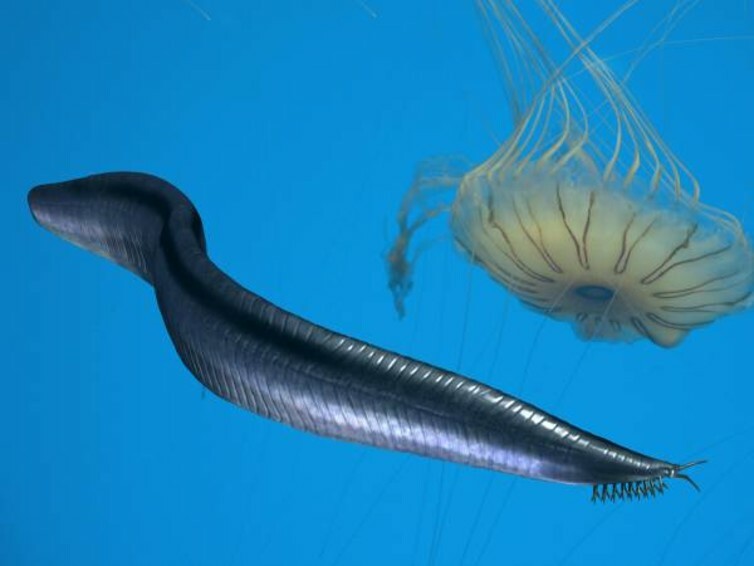 These had a single origin around 3.5 billion years ago, but this common ancestor gave rise to perhaps 20m living species of animals alone. These have bodies organised according to about 30 different body plans in major groups called phyla. 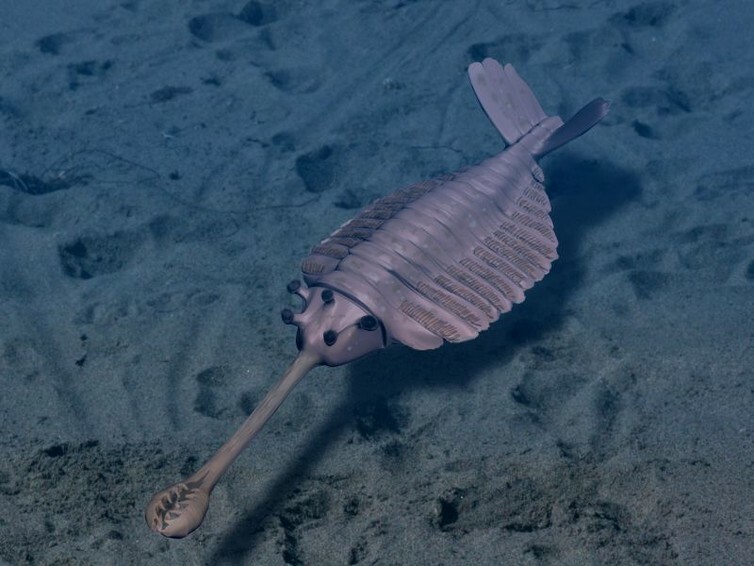 But when animals first diversified some 542m or more years ago in the Cambrian “explosion”, there may have been an even greater diversity of fundamental body plans. Consider the five-eyed and trunked Opabina in the image above, or the stalked and almost flower-like Dinomischus alongside our own distant relative, the chordate Pikaia. In a famous thought experiment, biologist Stephen Jay Gould asked what might happen if we were to rewind the “tape of life” and rerun it. Gould argued for the importance of chance in evolution: change one small thing early on, and the consequences magnify through time. In the version of history we know, Pikaia (imaged below) or something very like it survived and ultimately gave rise to fishes, amphibians, reptiles, mammals and ultimately ourselves. But what if it had perished? Might some other group have given rise to intelligent beings, and might you now be reading this with five eyes rather than the customary two? If our own origins on Earth really turned on such fine hinges, why should aliens – evolving on different planets – even remotely resemble us? The answer, according to evolutionary biologist Simon Conway Morris, lies in the phenomenon of evolutionary convergence: the process by which distantly related animals come to closely resemble each other. For example, the similar streamlined shape of dolphins, tuna fish and the extinct ichthyosaurs all evolved independently in response to the same selective pressures for moving efficiently through water at speed. But what aspects of alien biology might we expect? Carbon-based biochemistry is likely given that carbon forms stable backbone chains, and makes stable but readily breakable bonds with other elements. Other elements, notably silicon and sulphur, make less stable bonds at Earth-like temperatures. Water or some other solvent also seems necessary. For evolution to occur there needs to be some mechanism for storing and replicating information with moderate fidelity, such as DNA, RNA or some analogue. Although the first cells appeared on Earth quite early, multicellular animals took nearly 3 billion more years to evolve. So it may well be that life on other planets could get stuck at the single-celled stage. On an Earth-like planet it is also likely that radiation from the alien sun or suns would be used in biochemical pathways as a source of energy. For moderately large multicellular primary producers, harnessing light efficiently probably necessitates a light gathering system of leaves and branches. Similar shapes and habits have evolved convergently on Earth, so we might expect “plants” with broadly familiar forms on Earth-like planets. With few exceptions, animals either eat the primary producers or each other, and there are only so many ways of doing this. Pursuing food often necessitates moving with the mouth first, so the animal has a head and tail end. Teeth and probably jaws evolve to hold and tackle food items. Moving against a hard surface requires specialised structures (such as cilia, a muscular foot or legs) at the interface, so that there is a back and front side. Typically, this also imparts bilateral (left/right) symmetry: indeed, most animals belong to a “super-group” called the Bilateria. 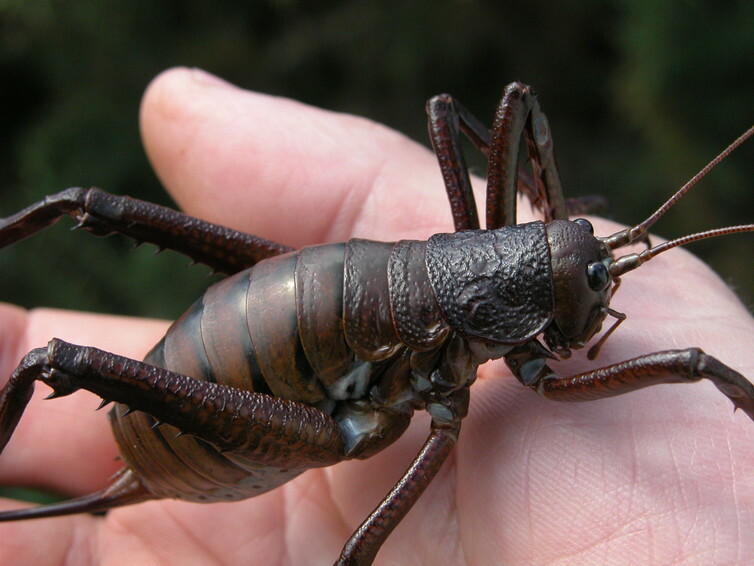 Why not giant intelligent “insects”? Relatively large brains, some degree of tool use and problem-solving abilities appear to be correlated on Earth, and have evolved multiple times: in apes, whales, dolphins, dogs, parrots, crows and octopuses. However, the apes have developed tool use to a vastly greater degree. This is at least partly the result of walking on two legs, which frees up the front limbs, and because of the dexterity of our fingers (which may also be a key to the origins of written language). Ultimately, the jury is out on the extent to which intelligent aliens – if they exist – would resemble us. It may or may not be significant that humans have just two eyes and ears (just enough for stereo vision and hearing), and just two legs (reduced from the initially more stable four). Many other organs also come in pairs as a consequence of our evolutionarily deep-seated – and perhaps inevitable – bilateral symmetry. Still other elements of our body plan are probably nothing more than chance. The fact that we have hands and feet with five digits is a consequence of the fixation on five in our early tetrapod ancestors – close relatives experimented with seven or eight. Indeed, most species have been subject to an accidental “locking down” during development – making body plans become stereotyped and inflexible with evolutionary time. Untangling the functional from the accidental is one of the big outstanding challenges in evolutionary biology – and may help us better understand how alien lifeforms could differ from us. The main way we now search for intelligent life in space is by listening for radio or gamma transmissions. These efforts are increasingly being concentrated on star systems with Earth-like planets, as these are believed to be the most likely to harbour life. After all, it is easier to search for “life as we know it” than life as we don’t.